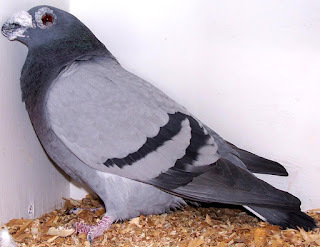 Dragoon pigeon is a medium sized bird which carries itself quite boldly and erectly. Body of these birds is of medium length with a broad and wedge shaped head. Their breast is broad and full.